In between leaving a busy home and arriving at a busy school, there’s ….quiet. 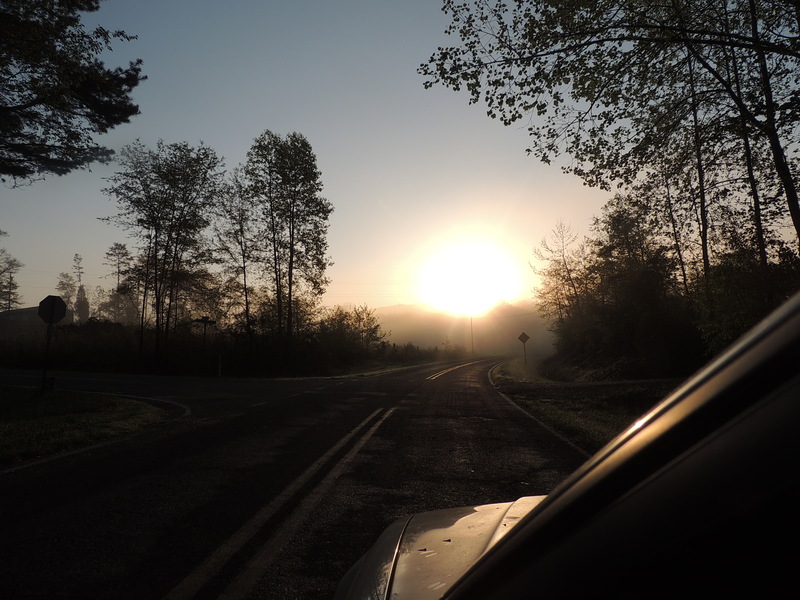 And after a few minutes of driving, the above photo is often what I see…the sun just over the horizon. Talk about a glimmer of hope! It’s a great visual for the possibilities of a new day. And every morning, I’m so aware that every day is a Gift from the Giver of all Good things. Here’s to honoring Him in the busy-ness and in the quiet. Here’s to inviting the Light of the World to shine in our world…to bathe us with Light and Life and Hope. Here’s to finding joy in the journey even when it’s an ordinary little trek to work or the store or an appointment. Yep, here’s to lifting our eyes, our hearts, our voices, to the One who will give ear to our words if we would but offer them up to Him. “Give ear to my words, O Lord, consider my meditation.